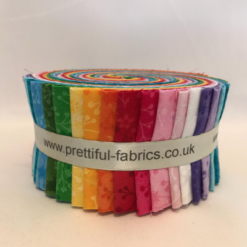 Our jelly rolls are made from 100% cotton fabrics, we stock a range of jelly rolls made from different brands of fabrics, including Rose & Hubble, Liberty of London, Riley Blake, Batiks and Flutter cotton. 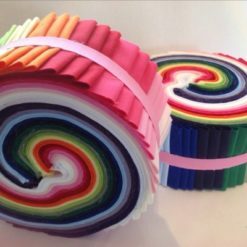 We cut our jelly rolls to order. If you are looking for anything in particular please email us.